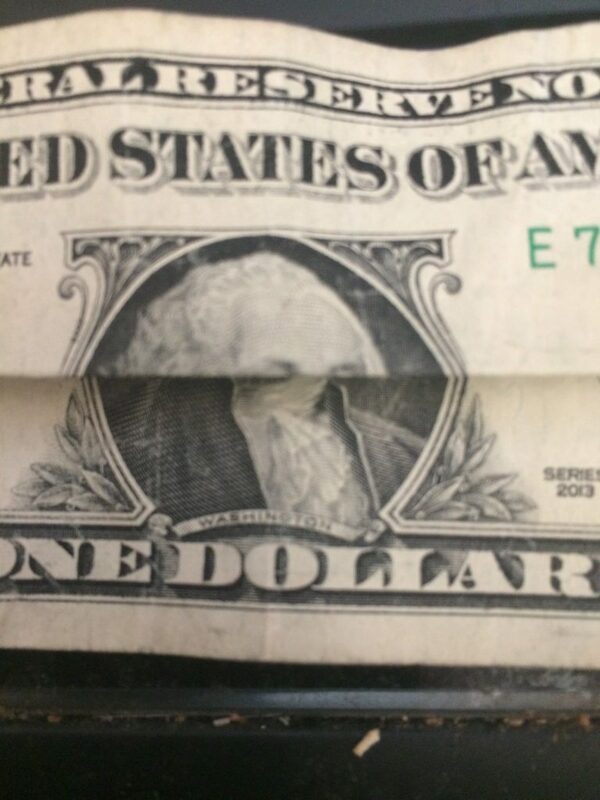 In a common parlor trick, a one-dollar bill is folded so Washington’s head resembles a mushroom cloud. Relations between India and Pakistan were recently at their tensest levels in decades. After a terrorist attack that killed dozens of Indian paramilitary police, India launched an attack against militants in Pakistan in response; these hostilities were followed by confrontations in the air that led to the downing of one or two Indian planes and, per Indian reports, a Pakistani aircraft as well. Reuters has also reported that India had threatened to launch (presumably conventional) missiles and that Pakistan had threatened to respond with its own. Pakistan did release the captured Indian pilot as a goodwill gesture, relieving tensions somewhat, and it is probable that these tensions will continue to deescalate. But even assuming they do, these incidents should remind the world that these two nuclear powers have a history of longstanding animosity and that the region is a nuclear powder keg. Beyond these tensions, the danger of a nuclear terror attack somewhere in the world is ever present. Terrorists have tried many times to obtain nuclear bombs and weapons-grade materials and are assuredly going to make such attempts in the future. It is fairly well-accepted that sophisticated terrorist groups, if able to obtain enough weapons-grade material, would be able to build a nuclear bomb. Procuring the materials for and making a dirty or radiological bomb would be even easier. While such a device would not be nearly as destructive as a nuclear device, it could still potentially instill widespread panic and disrupt the global capital markets. Many experts believe that miscalculation—a situation in which two state actors blunder into a nuclear exchange—is a likely way for nuclear conflict to begin. The command and control infrastructures of the United States and other nuclear nations are far from foolproof; there have been many instances when early warning systems have falsely reported nuclear attacks, nearly leading to war. For instance, in 1983 a Soviet early warning satellite reported that five US missiles were in flight toward the Soviet Union, according to Eric Schlosser’s book Command and Control. Although tensions were high between the two countries, the Soviet officer in charge decided to not report what systems were saying was an incoming attack. It was later revealed that reflections of the sun had fooled the satellite systems into perceiving it as a missile attack. These are but a couple of many reported instances of mistaken analyses, technical glitches, and misconduct of personnel in the command and control infrastructure around the nuclear arsenal. Despite a long history of nuclear near-misses, vast swaths of the US and Russian nuclear arsenals are kept on hair-trigger alert; US missiles can be launched in minutes, and the Russians claim their own weapons can be fired in tens of seconds. Both the United States and Russia are, of course, aware of the risk of and unattractiveness of a global thermonuclear war that would kill at least tens of millions and perhaps billions of people. This mutual understanding greatly reduces the likelihood of either side launching a “bolt-from-the-blue” surprise attack. But the hair-trigger status of the arsenals raises the likelihood that an unauthorized, accidental, or mistaken launch may occur. The increasing potential that cyberterrorists can target nuclear command and control infrastructure only compounds such risks. And this is not even to consider the psychological and emotional instabilities of several world leaders who have nuclear weapons at their disposal. The potential economic aftermath of a limited nuclear incident. Investment portfolios, the capital markets, and the economy in general could have been irrelevant had the United States and Soviet Union allowed the Cold War to turn hot, fighting a full-scale nuclear war that involved tens of thousands of nuclear weapons. But that particular risk has receded. There is now a much higher probability that any nuclear incident the world sees will be a limited one that kills less than one percent of the global population. In such a scenario, the broader public clearly is going to care about what is happening to its investment portfolios and companies, and to the overall economy. There is no telling when a major nuclear incident might happen; we may continue to be lucky for a very long time. Still, I believe it is unrealistic to work under the assumption that it will never happen. I also think it’s unrealistic and irresponsible for investors to express any confidence that it won’t happen over the next couple of decades. Even if a major incident doesn’t occur in the short to intermediate term (i.e. a couple years or less), the likelihood that a nuclear device will at some point be detonated in a major city should not be ignored. If it does happen, anywhere, the global financial repercussions will likely be enormous. The markets, the level of inflation, and the economy could well react violently in the short-term wake of a nuclear explosion. Everything from monetary and fiscal policy to defense spending and financial regulators’ rules on trading might quickly change. There might, for example, be prohibitions on the shorting of certain stocks. Insurance markets would be disrupted. Depending on the type of attack, trade and travel would be affected to a greater or lesser degree. Cities could empty at least temporarily; urban real estate values might fall precipitously. I recognize that in recent decades the US stock market been fairly resilient in the face of terrorist attacks around the world, even an enormous one like 9/11, and during war, including in the immediate aftermath of Pearl Harbor. But the past performance of the US stock market is not necessarily prologue to what would happen in US and worldwide equity, debt, currency, and other markets in the wake of a major nuclear incident, particularly one that has human casualties in the hundreds of thousands or more and that takes out a major financial center or, even, a capital. I think it would be an example of selection bias to focus on recent US stock market data when considering the likely effects of a nuclear incident. Warfare clearly has its costs. Because of hyperinflation, the German stock market suffered a negative 98 percent real return from 1918 to 1922, according to Global Financial Data, a provider of historical market databases. Similarly, inflation decimated the value of assets in post-World War II Germany, and the inflation and currency reforms in Japan after World War II caused Japanese bonds and bills to lose 99 percent of their real value in a few years and for Japanese equities to lose 95 percent. Global Financial Data shows that between 1914 and 1949, French fixed-income investors in bonds and bills lost over 97 percent of their capital on a real, after-inflation basis, even on a total-return basis that included the reinvestment of interest. Probably more important, there have, of course, been many crises in US and other capital markets that were unrelated to violence. These include the Great Depression (during which the Dow fell 89 percent from 1929 highs), Black Monday (when the Dow dropped 23 percent in one day in 1987), and the recent financial crisis (during which the MSCI world equity index dropped 57 percent from the peak in late 2007 to the trough in 2009). The magnitudes of these crises are probably a better starting point than, say, 9/11 or Pearl Harbor for assessing the likely impact a nuclear incident could have on our increasingly interconnected global markets and economies. Nuclear risk and climate risk. In no way am I trying to rank nuclear risks against or above climate risks. This is not a competition; both are giant risks. As the Bulletin wrote in its 2019 Doomsday Clock statement, “Humanity now faces two simultaneous existential threats”—nuclear weapons and climate risk—“either of which would be cause for extreme concern and immediate attention.” The Doomsday Clock, a metaphor for the risk posed to humanity, was left set at two minutes to midnight, the same setting as 2018 but the closest it has ever been to disaster. Nuclear risks differ from climate risk in one major way: Climate change’s destructive force likely won’t manifest itself in a singular, instantaneous event. But a single nuclear event could be so severe and so instantaneous that the economic response could be almost immediate and absolutely catastrophic. That possibility of instant catastrophe is why the financial and business communities need to work to forestall the possibility of nuclear war while also taking precautions to ensure at least some level of economic resiliency in the aftermath of a nuclear incident. And circling back to global warming: The incredible risks that global warming poses will be all the more challenging if we do not have a functioning and healthy global economy and financial markets while we try to prepare. That fact and the reality that even a limited regional nuclear exchange could cause its own environmental catastrophe—a “nuclear winter” that could lead to agricultural collapse and the death of hundreds of millions or even billions of people—should cause sustainable investing groups to incorporate nuclear risks into their missions. Prevention efforts. Without endorsing every single strategy of each organization that advocates for nuclear non-proliferation and tries to stimulate debate on nuclear issues, I do think that it is a good first step for market participants to study the work of some of the leading groups on these matters. This study can and should then be followed by financial support to the appropriate groups, engagement with Congress, and other efforts to reduce the likelihood that nuclear weapons will be used. Such nuclear “activism” should not be limited to citizens who get involved on the individual level. I believe that state governments, regulators, leaders in the financial and broader business community, the US Chamber of Commerce, the Business Roundtable, and environmental investing task forces, investor coalitions, and forums have a responsibility to get involved, as well. Most concretely and immediately, I believe market participants should use their resources to help pass proposed legislation that would alter the US president’s ability to launch a first-use nuclear strike without congressional approval. (A first-use nuclear strike is one that is not preceded by any sort of verifiable nuclear attack against the United States.) California Rep. Ted Lieu and Massachusetts Sen. Ed Markey reintroduced such a bill in January. The bill had originally been introduced a couple years earlier but never made it out of committee. I do not believe major market participants should avoid lobbying on this issue on political grounds. Market participants direct lobbying efforts to protect the interests of their stakeholders in regard to countless other issues. The law on use of nuclear weapons as it exists today—which gives the US president sole authority over nuclear weapons use—imperils the global markets and global economy. The ability to order a first-use nuclear strike without congressional approval is more power than any single individual should have, and the impulsiveness of President Trump makes enacting this change particularly urgent. Removing such a capability now should not be thought of as a referendum on whether Trump is a good president, or on his stances on defense, immigration, regulations, tax reforms, trade, or anything else. Rather, as should be recognized by even most Trump supporters, it would merely be a referendum on whether Americans generally want such power to reside with a single person and, more specifically, whether Trump is a measured enough individual to be trusted with such responsibility. It is a bigger debate, and one clearly worth having, as to whether the legislative changes should go farther, and whether Congress should support the bicameral No First Use Act recently introduced by Massachusetts Sen. Elizabeth Warren and Adam Smith, chair of the House Armed Services Committee. That bill “would establish in law that it is the policy of the United States not to use nuclear weapons first,” as opposed to just more specifically limiting the president from ordering a first-use nuclear strike without Congressional approval. Beyond the topic of first-use, I believe that the private technology and communications sectors have a duty to make sure that their products limit the likelihood that cyberterrorism or the spread of inaccurate information might lead to a nuclear incident. At the recent Carnegie International Nuclear Policy Conference in Washington, experts expressed to me that the financial and business communities could do their part in nonproliferation efforts by enforcing sanctions and by being responsible in the sale or transport of dual-use goods (products that can be used for civilian or military purposes). Unfortunately, a recently released UN Security Council report indicates that “[g]lobal banks and insurance companies continue to unwittingly facilitate payments and provide coverage for vessels involved in ever-larger, multimillion-dollar, illegal, ship-to-ship transfers of petroleum products, as well as an increasing number of ship-to-ship coal transfers and attempted transshipments.” The world’s largest container shipping line, meanwhile, “continued to unwittingly transport prohibited items later seized by Member States.” Regulators need to make sure that companies understand regulations in regard to sanctions and dual-use goods and that the regulations are enforceable. Clearly, companies also have to be held accountable for the safe and secure use of nuclear materials in their own businesses, whether that be utilities operating nuclear power plants or healthcare and oil and gas companies that use certain nuclear materials that could potentially be used to construct a dirty bomb. Protecting our money and markets. Looking beyond prevention efforts, it is not my intention here to provide overly prescriptive recommendations on how to insulate our investment portfolios, companies, markets, and economy from a nuclear incident should prevention efforts fail. Doing so would clearly be case specific and would be beyond the scope of this piece, which is primarily intended to encourage discussion about financial and economic preparations for a nuclear event. The risk of a nuclear incident, while ever present and significant over the long-term, is probably not imminent. Therefore, investors have time to choose their ideal entry points in terms of some of the strategies discussed below. In general terms, though, it would be ill-advised to build a portfolio strictly around the risks of a nuclear incident. It does no one any good to build a portfolio that is concentrated only to benefit in the event of a nuclear incident but perform poorly in other market environments. Clearly, equities should still be a major part of most individuals’ portfolios. At the same time, an overly leveraged or otherwise poorly concentrated portfolio could be nearly wiped out in a heartbeat by a nuclear incident. I think a portfolio can be constructed with diversification and other risk controls that are prudent across a range of environments—limiting leverage, maintaining strong liquidity, keeping liabilities fairly long and matched to assets—and that provide at least some “insurance” against a crisis-inducing nuclear incident. Fortunately, because the market does not appear to be pricing in any meaningful risk of a nuclear incident, market participants can structure their accounts, investments, loans, contracts, etc. at little or no incremental cost to partially insure against such an event. For instance, individuals and institutions should understand what would happen to the treatment of their holdings were their financial service provider to fail, and individuals should structure their banks and securities accounts in ways that maximize their potential Federal Deposit Insurance Corporation (FDIC) and Securities Investor Protection Corporation (SIPC) coverage. This can be done, for instance, by dividing any large amounts into different categories of accounts and/or splitting them among institutions. Understanding potential counterparty risk is something that is always important and could become even more critical in the wake of a nuclear incident, just as it was during the financial crisis. For instance, long-term insurance products (e.g. life and annuities) should mainly be purchased from insurers with the top one or two financial strength ratings. Because of how insurance products are sold, I suspect that there is only a weak correlation, if any, between the financial strength rating of the insurer and the price of insurance. Separately, the property and casualty insurance industry figured out long ago that it could not provide protection against, say, a nuclear bomb. Others should take a page from that playbook when structuring any business or financial contracts and put in a clause that provides some relief or breathing room from performing under the contract in the event of certain nuclear, biological, chemical, and radiological events. I am no gold bug and am generally not sympathetic to gold bugs’ arguments and inclinations. But I do believe a modest allocation is justified for the metal, through a diversified basket of large miners and/or bullion, as a hedge against uncertainty and panic. Without me picking the exact entry point, and recognizing the current troubles being faced by some US farmers, I think it also makes sense to have a modest allocation to farm land (in part because it’s likely to outperform gold bullion over the long-term). In addition, Treasury Inflation-Protected Securities (TIPS), and similar inflation-protected securities issued by some foreign governments, can be a good way to get protection from inflation with only limited downside exposure in the event of deflation. While currency trends are impossible to predict, a nuclear catastrophe could potentially be deflationary in the short-term but, in the longer-term, inflationary if investors lose confidence in the currency. It is worth acknowledging that regulators, including the Financial Stability Board, have made changes since last decade’s financial crisis that are intended to reduce system risk. These included increasing capital requirements at banks and changing clearing practices in the derivatives markets. But many of these efforts were general in nature, and I would like to see more discussion around the specific and enormous challenges that could arise in the aftermath of a nuclear catastrophe. Market participants should explore what they can do to ensure their own and the broader system’s resiliency. For instance, I think companies and regulators should explore the use of “contingent” debt/capital, which is common among European financial companies, in financial companies outside of Europe and also in non-financial sectors. Such debt could, upon the occurrence of certain events like nuclear explosions, convert to equity, see its maturity extended, and/or have its covenants relaxed. Graham Allison, a leading national security expert at Harvard, has said that “Risk equals probability times consequences.” A nuclear incident poses high risk because the consequences are tremendous and the probabilities are unfortunately not as low as some believe. As things currently stand, we cannot be remotely confident that we can prevent a nuclear incident from occurring. That is why, while trying in every reasonable way to prevent a catastrophic nuclear event, we so clearly must do more to prepare to deal with the aftermath, in the event prevention efforts fail. Following the commendable example set by the ESG/sustainability movement around dealing with environmental risks, the financial and business communities need to start today, not “The Day After,” in terms of prevention and preparation efforts relating to a nuclear incident. Writing (or reading for that matter) about the subject is not pleasant, but burying our heads in the sand will not make the nuclear risks to our financial well-being go away.